We are currently, as I write this, on an old-fashioned steam train to York. The Scarborough Spa Express. This sounded like a really romantic idea. 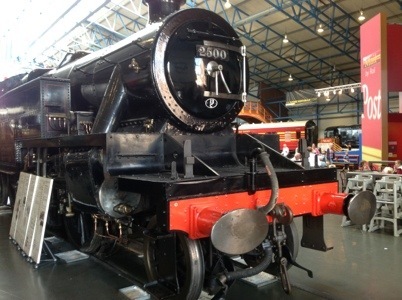 Let’s take the steam train to York – its not too expensive, and it’s only an hour and a half. Seemed like such a fun thing to do. We’ve been on it for about an hour now. It’s just a train, really. Only slower. I’m kind of done. I want the van. We’ll be there soon, says Dev. But then we have to go back on it too. And its only about a half hour car journey. Clearly, I am the child among us. Nobody else is complaining. Or maybe it’s because I’m such a control freak. I want to control the journey, along with everything else. You learn a lot about yourself when you’re travelling. Choo-choo! Enjoy the journey- of course the getting there is more important than the arrival. ( says she!) You’re right – I learnt a lot while travelling. The downside was that I didn’t particularly like everything that I learnt.